It is reported that the Formula One heiress has spent an estimated £50k on decorating her £70million London home with a The Snowman theme. 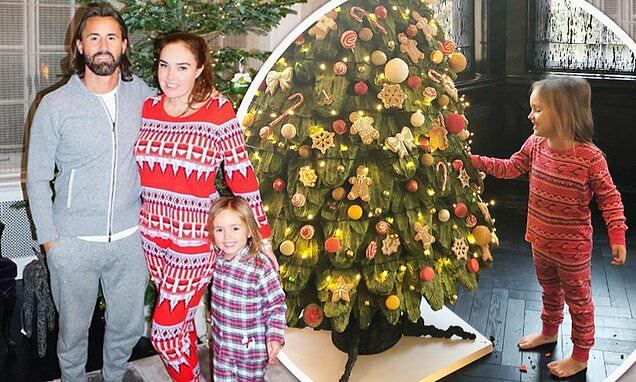 And Tamara Ecclestone has left her fans stunned once again after she shared a picture of her giant Christmas tree cake with edible decorations on Thursday. The Formula One heiress, 34, took to her Instagram to share a picture of her daughter, Sofia, four, posing next to the decadent sweet treat which over-towered her. Tamara's fans were left stunned over the giant Christmas tree cake and took to her comments section to express their shock. Tamara - who lives with husband Jay Rutland, 37, and daughter Sofia, four - has invested this year in over £5k to decorate both inside and outside the property, as well as £500 on an advent calendar. The latter is a custom-built wooden structure, for Sofia, with a gift behind each door for the spoiled tot.